Dr. Emmanouil (Manos) Georgiadis is an internationally known expert in applying motivational constructs in Sport and Exercise Psychology. Manos is also the Course Leader for the MSci Sport Psychology degree. Manos has helped athletes of individual and team sports improving their abilities and reaching their potential as a recognised Sport Psychologist. Under his guidance, Olympic-level and professional athletes enhanced their performance through focusing on the psychological and cognitive components of their sport. Having a sporting background as an elite swimmer, Manos has always been keen on discovering the motivating elements of behaviour persistence and excellence, stemming from human intellect and psyche. He combines the knowledge of Sport and Exercise Sciences, to Psychology and Counselling, promoting a global perspective of consciousness and continual development. Before arriving at the University of Suffolk he was a researcher at the Kapodistrian and National University of Athens, Greece and Loughborough University, U.K. where he was awarded his Doctoral Degree. As an identified expert he delivered bespoke courses in institutions such as the Greek Police Academy, the National and Kapodistrian University of Athens, the University of Thessaly, and the Northumbria University at Newcastle (franchised programme). He has been also a Personal Trainer for more than 15 years, contributing to more active and healthy lifestyles through applying the motivational constructs of Exercise Psychology. Further, Dr. Georgiadis theoretical and practical endeavours expand in the interdisciplinary study of human life, as he is interested in the maintenance of quality of life throughout the whole lifespan. 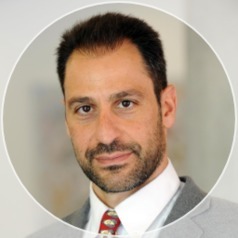 Dr. Emmanouil Georgiadis in his undergraduate studies attended Physical Education and Sport Sciences (Kapodistrian University Of Athens, Greece) and Applied Psychology (City University of Seattle, USA). He was awarded with the Degree of Master of Science in Exercise and Sport Psychology (University of Exeter, U.K.) and he earned his PhD in Sport and Exercise Psychology (Loughborough University, UK). He is a Senior Fellow of Higher Education Academy (www.HEACADEMY.ac.uk), a Certified Sport and Exercise Psychology Counsellor (www.SPORTPSYCHOLOGY.gr), a Member of European Federation of Sport Psychology (www.FEPSAC.org) and the American Psychological Association (www.APA.org) and a Member of the Cognitive Therapeutic Method of EMDR (www.EMDR.com). He has worked since 2001 as a counsellor in Sport and Exercise Psychology dealing with issues pertaining to health, wellbeing, human performance and positive psychological states. Manos' research interests are related to the study of motivation in sport and exercise settings. He believes in the empowerment of athletes through the constructs of Sport Psychology; that proper management of their cognitions and emotions can leading them to sporting excellence. In the field of Exercise and Health, he is especially interested to examine the social and environmental effects on sedentariness and exercise behaviour in the whole life span. He has designed and implemented physical activity promotion programmes, as well as, wellbeing and quality of life courses in Britain and Greece, in collaboration with national and private institutes. His work has been presented in National, European and World Congresses of Sport and Exercise Psychology and General Psychology. Manos is currently involved in the examination of the effects of exercise on dementia, the effectiveness of health promotion programmes in the Suffolk community, the effects of sedentariness in the lives of older adults and the implementation of new technology towards more active lifestyles.